Luis Alberto Acuña. 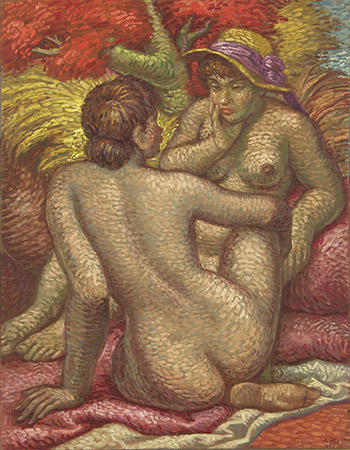 Las bañistas, 1963. Oil on wood. 35 x 27.5 in. Courtesy: Archive Museum of Contemporary Art - MAC. Beatriz Daza. Cosas y también la manzana, 1965-1967. Ceramic, bronze and wood assembly. 20 x 32 in. Courtesy: Archive Museum of Contemporary Art - MAC. Edgar Negret. 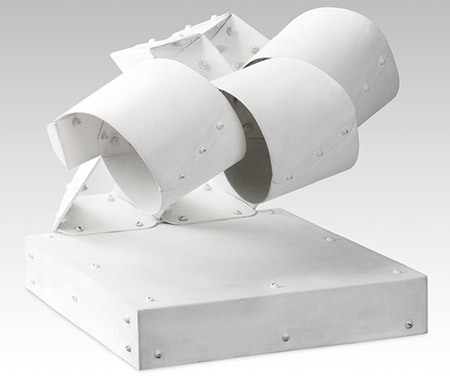 Navegante, 1972. metal assembly. 39 x 51 x 41 cm. Courtesy: Archive Museum of Contemporary Art - MAC. Leonardo Nierman. 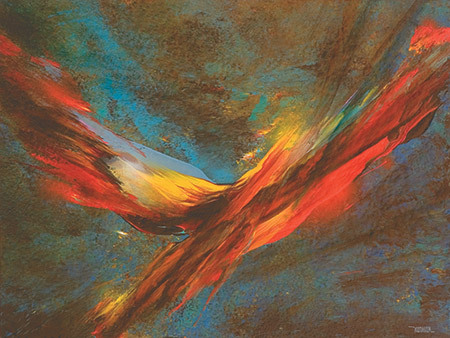 El vuelo, 1974. Mixed on agglomerate. 24 x 31.5 in. Courtesy: Archive Museum of Contemporary Art - MAC. To mark the 75th anniversary of the Centro Colombo Americano in Bogota and the 50th anniversary of the Museo de Arte Contemporáneo in Bogota (MAC), the exhibition space of the Centro Colombo Americano presents the exhibition titled "75/50 Years of Connections" until May 9, 2017. The show is inspired by the exhibition that these two institutions organized 49 years ago featuring works donated to the MAC by several artists with already prominent trajectories who began their careers at the Galería Avenida 19 of the Centro Colombo Americano. Likewise, this exhibition pays tribute to those artists that participated in that first exhibition with works created between 1955 and 1977. "75/50 Years of Connections" is a testament to the importance of interinstitutional dialog in the context of new dynamics, spaces and projects that allow for the promotion of works by those artists and their interactions with other aspects of culture. 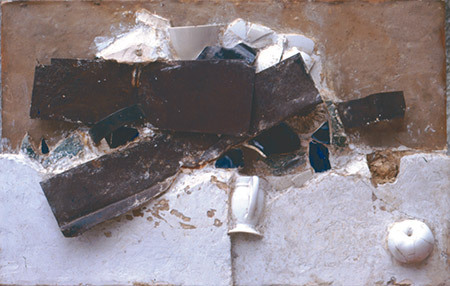 Artists: Leonardo Nierman, Leopoldo Richter, Umberto Giangrandi, Sofía Urrutia, Eduardo Ramírez-Villamizar, Santiago Cárdenas, Beatriz González, Antonio Samudio, Antonio Grass, Omar Rayo, Fanny Sanín, David Manzur, Augusto Rivera, Beatriz Daza, Bernardo Salcedo, Edgar Negret, Luis Acuña, Luis Caballero, Manuel Hernández, Ana Mercedes Hoyos, Carlos Correa, Marco Ospina, Ángel Loochkartt, Raúl Marroquín, and Luciano Jaramillo.